The end of summer is in sight and the stores are packed full of every school supply imaginable. Back to school time usually means that your schedule is fuller and far more hectic than the relaxed days of summer. With all of the running around from school to karate to dance lessons to buy groceries, meal times can become increasingly difficult. Resist the temptation to give into easy, unhealthy options and consider these great meals that are easy to cook, and are perfect for your kids. Give red meat a rest and serve your kids the burgers they love with the nutrition they need. 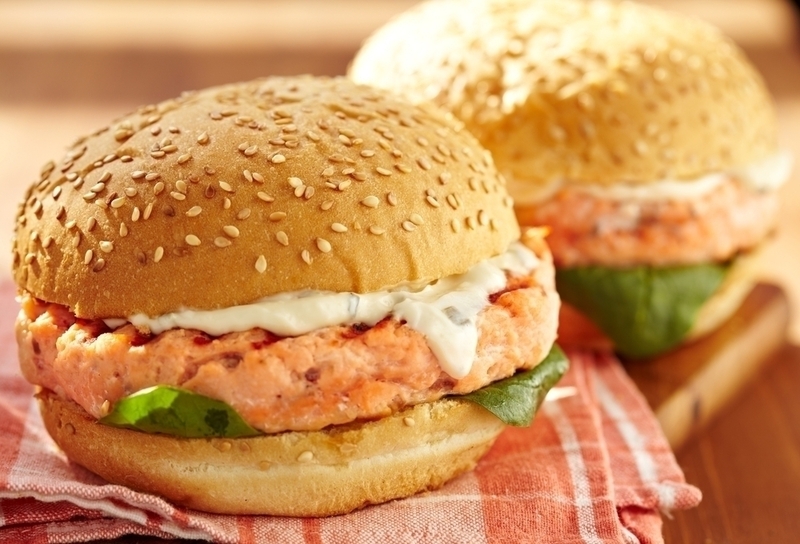 These quick and easy salmon burgers are ready in under 30 minutes, making them the perfect busy weeknight dinner. First, open and drain the can of salmon. Flake the salmon and be sure that no bones remain. Dice ½ onion and squeeze the juice from the ½ lemon. Next, mix the salmon, oats, onion, egg, Dijon mustard and lemon juice. Mix until ingredients until they are evenly combined then divide and separate into 4 patties. Heat the vegetable oil in a skillet over medium-high heat and fry until salmon is cooked through (roughly 5-7 minutes per side). Get the taste of wings with serving of veggies with this super quick and easy meal. This recipe is especially great for using leftover chicken in a tasty and fun way. Cook rice according to package directions – you can make this step quicker and easier by using a ready rice that takes only minutes to cook. Combine the shredded chicken and buffalo sauce. Place ¼ cup of brown rice on each tortilla and spread across the tortilla, leaving about ½ inch of space. Add ¼ cup chicken to each tortilla and add the sliced carrots and celery. Sprinkle the Cheddar cheese on top of the vegetables and top with shredded lettuce. 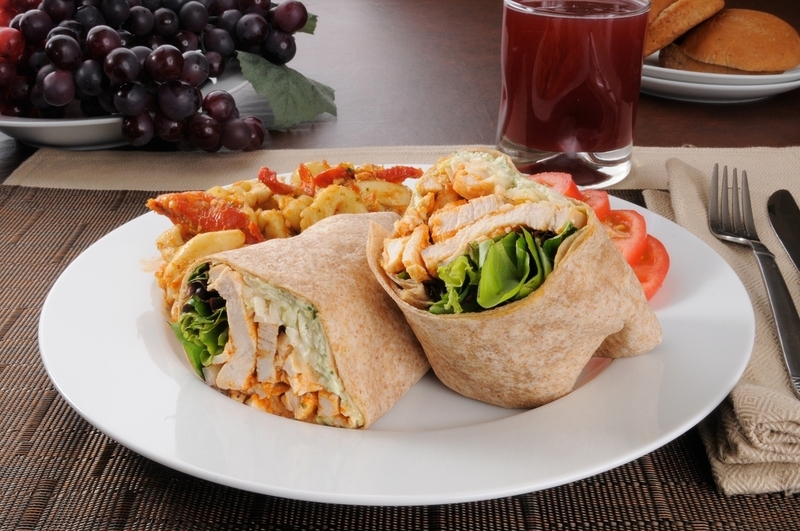 Fold wrap and roll the wraps and you’re ready to eat. If desired you can serve with bleu cheese or ranch dressing. You can also eliminate the tortillas from this recipe and simply serve a buffalo chicken salad (add more lettuce). Everyone loves a good slice of pizza, but it isn’t exactly the most nutritious choice to make for your family. 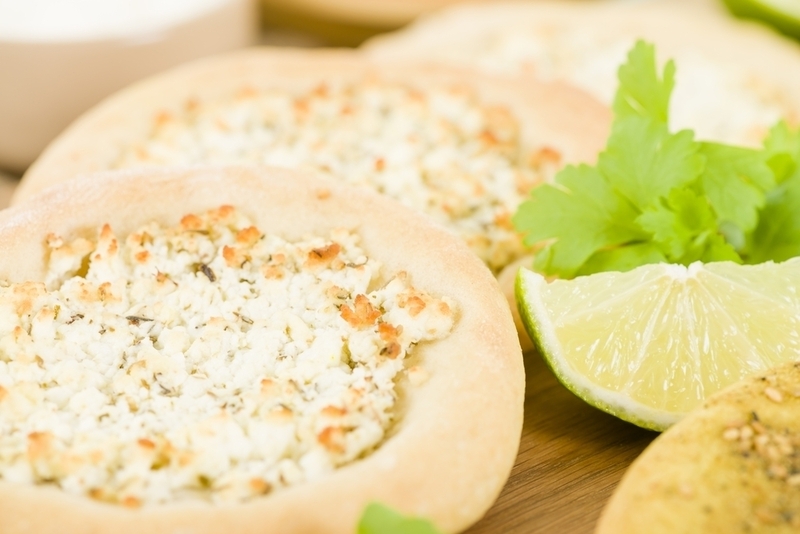 For a healthier alternative, make this veggie packed pizza. Preheat the oven to 475 degrees. Place crust on a baking stone or sheet. Spread the hummus evenly across the crust. Arrange the vegetables over the hummus top with the cheese. Bake in the oven for 10 to 15 minutes – until cheese bubbles and crust appears golden-brown. Healthy meals don’t have to be boring. When you whip up one of these healthy alternatives to food favorites, your kids are sure to enjoy their dinner while you enjoy providing them with added health.